While you are browsing through your inventory and the armory to search for the perfect killing device to help you destroy zombies and dust your enemies, have you ever wondered what all the specialized weapons actually mean? Here’s a short guide to help you choose the most powerful weapon that is suitable for your needs and expertise. There are two types of ammos you can purchase: missile and energy. The higher the tier of the weapon, the more damage it can make on the zombies and your opponents. Be sure to let your guns cool down so it doesn’t overheat or overload. These are your heavy duty guns that fire sharp missiles or powerful cannons. These are great choices if you are dealing with opponents of a lower level and weaker zombies. Ammos are much more affordable but the damage is still severe. Highly specialized weapons that run on energy ammos and can instantly turn zombies into dust! This extremely deadly category includes 3 types of energy – flames, lightning, and ice. Harnessing power from natural sources, this weapon can vaporize your enemies and even toughest zombies almost instantly! Once you have geared up your vehicle and equipped it with the deadliest weapon, what more can you do to protect yourself from the zombies’ destructive attacks? One thing that is often overlooked by professional drivers is their clothing. Let us take a look at Wrench’s suggestions! 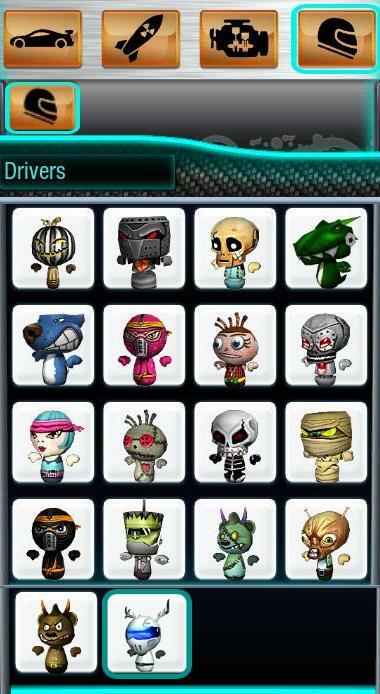 When you choose your driver in Eat My Dust, be sure to pick one that not only has outstanding specs and driving skills, but also have enough external protection to avoid nasty accidents, such as road rashes or burns. A helmet paired with fire proof gloves is your best shot. Drivers like Rocky and Ninjax are great choices because they have natural properties and highly trained skills that can help you maneuver through obstacles and challenges, even without the physical protection of specialized clothing. 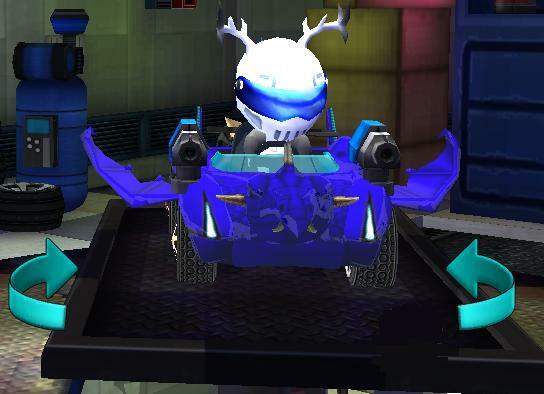 However, Wrench highly recommends the Stag, because it not only has exceptional racetrack skills but also an extensive protective gear that improves your agility and lowers your chances of accidents on the road. Head over to the Mechanic Shop today to switch up your driver for better performance and to upgrade your protection! 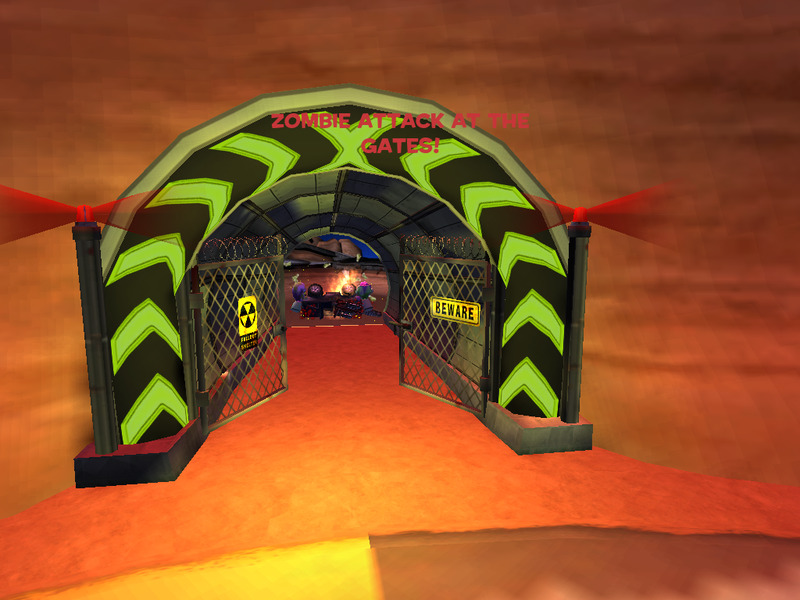 If you have any other awesome suggestions you would like to provide to help your fellow dusters better protect themselves from all the dangers in Eat My Dust’s combat zone, leave us a comment! 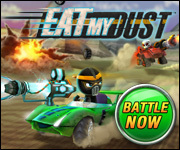 The devouring sand storm is coming and you are caught up in an intense competition against your opponents in Eat My Dust. What can you do to maneuver through the dangerous obstacles and dodge the cunning attacks from your opponents? 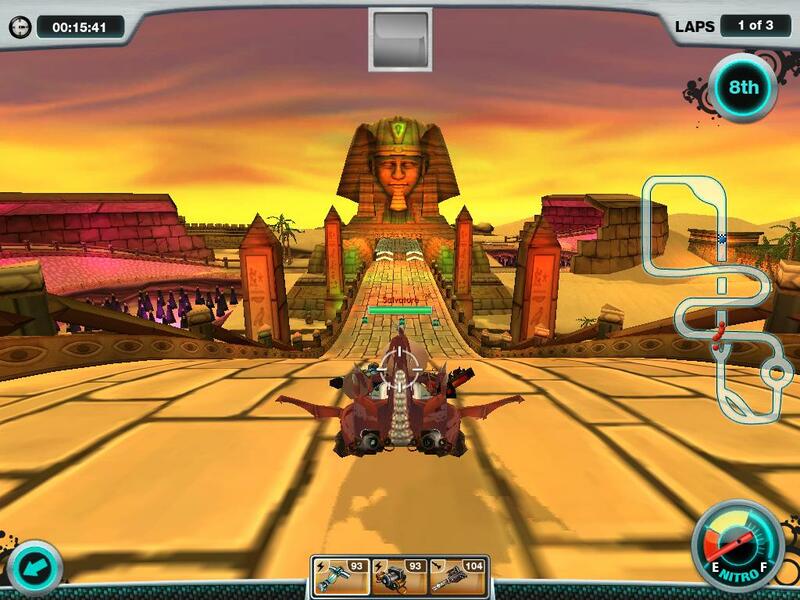 Wrench has a few pointers to help you reveal the secrets of this hidden racetrack of Land of Ra in Ancient Egypt and race to the top of the leaderboard! While you race through the abandoned village in this bare land of sand, be sure to take the detours to shorten your time, and maintain your lane position to avoid crashing into walls and obstacles. Also, be mindful of the slipping sand as you drift through the mystic desert and monumental landmarks. Going off track resets your game, and you will need to work extra hard to gain that lost time back to win the race. Don’t forget to use your boost on straight roads by pressing “SHIFT” on your keyboard to give you a little push to take over your opponents. Lastly, fire all your weapons to anyone that’s standing between you and ultimate glory! 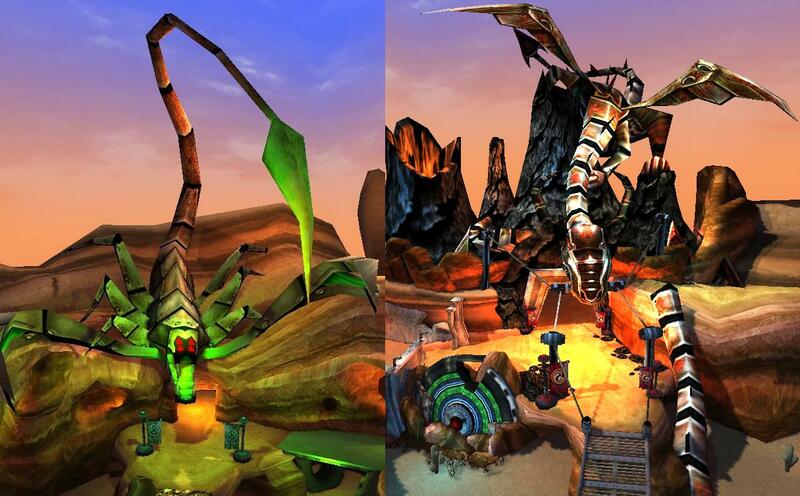 Are you ready to take on all the unexpected obstacles and deadly creatures that roamed this racetrack? The Snaefell Mountain Course, more commonly known as the Isle of Man TT, located on the west coast of England, is regarded as the most dangerous and deadliest racetrack in the world. Specializing in housing motorcycle competition since 1911, this course has about 200 corners and wields its way through a winding mountain road in the countryside. 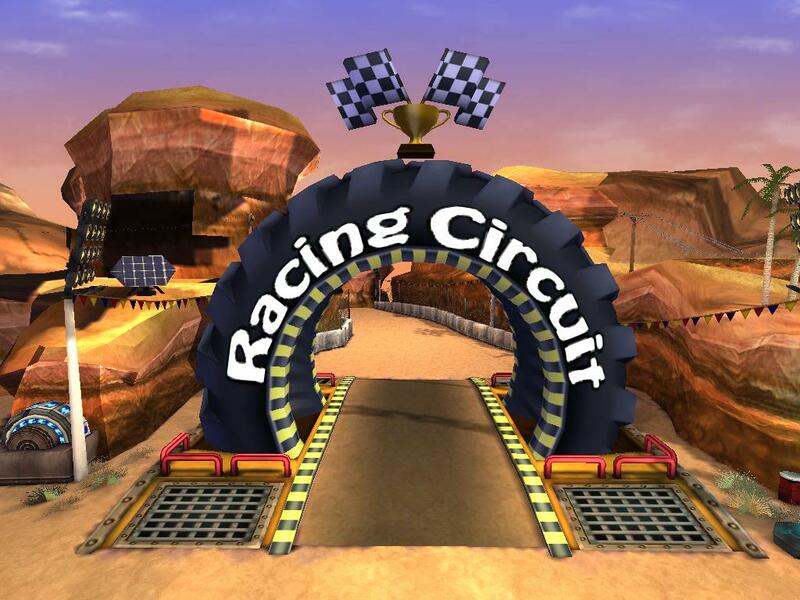 Some of the motorcycles can reach a 200 mph speed rate in a straight section at the beginning of the course. However, the obstacles on both sides of the road are what make the course so challenging and risky. The road is lined with light poles, mail boxes, stone walls, etc. Some are so close to the rider that a slight touch of these obstacles will throw the racer off course. When the riders reach the countryside of the village, they are confronted with narrow lanes and hazards that are often concealed by hedges and grass. All the riders who successfully completed the course possess the balanced quality of perfection and luck. 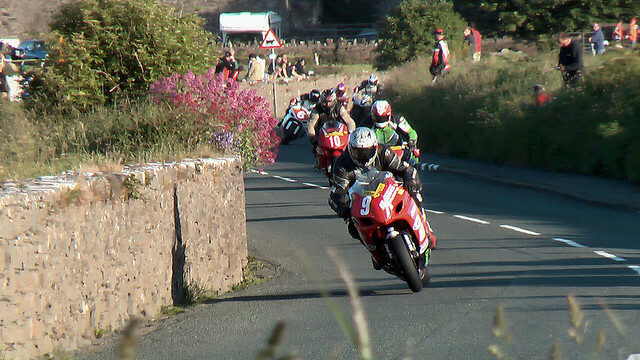 Officials have deemed the racetrack too dangerous for competition, but racing fans have continued to visit the Isle of Man to sample this last true road race. Wrench’s Fun Fact: Zombie Attack! 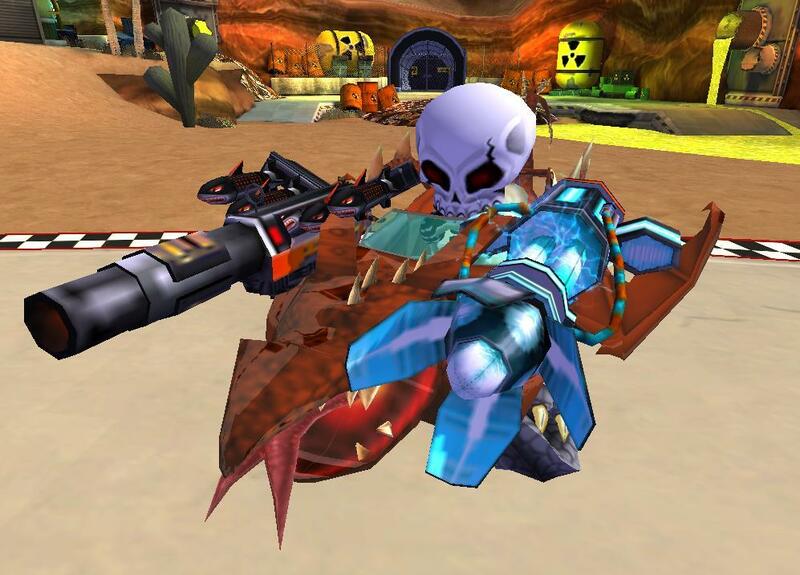 Defending your base is your primary duty as a member of the Dragon or Scorpion Team in Eat My Dust. Therefore, the first to remember when you hear the alarm go off is to rush to the nearest gates and help wipe out the zombies that attempt to infiltrate your zone. Entering the gates to face the zombies is essentially a survival combat to see how many zombies you can destroy before your health runs out. Before you go through the gates, be sure to stock up on your weapon ammos to ensure that you are fully prepared to take on a wave of zombies. Also, maneuver your killing machine through the area to avoid the cluster of zombies attacking your vehicle. Collect the coins and extra gunpowder when you killed a zombie and hold off the attack for as long as you can! Are you ready for your next battle against the zombies to bring honor and peace to your team in Eat My Dust? We’d love to hear about your zombie killing strategies. Please leave a comment below!